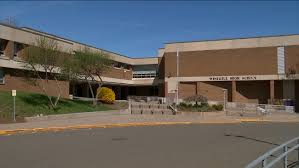 LINDEN NJ November 8 2018 – As part of an agreement reached by the Board of Education and City Council, the district plans to hire retired law enforcement officers to provide school security at the high school academy, the two middle schools and the district’s largest elementary school. The shared services agreement was adopted last month by both parties for the police department to establish a Special Law Enforcement Officer Class III program to provide security in the district’s largest schools, according to a news release. Linden High School already has a full time school resource officer through the Linden Police Department’s Juvenile Bureau. The Linden Board of Education has been discussing possibly of hiring retired officers since the Parkland, Florida school shooting left 17 students and staff members dead earlier this year. The school board approved the measure Oct. 30, two weeks after the City Council.